Today Frontier Airlines announced its intent to order 134 A320neo Family aircraft from Airbus, which will triple the size of the low-cost carrier over the next 10 years. Valued at a list price of more than $15 billion, today’s announcement grows Frontier’s order book to more than 200 aircraft and means more than five thousand new, highly skilled jobs for the U.S. These aircraft are part of the single largest Airbus order announcement ever made - a 430 aircraft order valued at a $49.5 billion list price by Indigo Partners, Frontier’s owner. This new 134 aircraft order is comprised of 100 A320neo and 34 A321neo aircraft. The A321neo will be a new compliment to the carrier’s existing fuel-efficient A321 family fleet. The addition of these aircraft to the fleet will allow Frontier to grow in new and existing markets, provide even more compelling low fares, further improve the carrier’s already industry-leading fuel efficiency and maintain the company’s status of having one of the youngest and most modern fleets in the U.S. The 134 aircraft order announced today will be delivered between 2021 and 2026. Today’s announcement underpins Frontier’s commitment to job creation throughout the U.S. The new aircraft mean the addition of more than 5,000 new positions including pilots, flight attendants and operations support. In addition, in 2018 Frontier will start taking delivery of aircraft from Airbus’ U.S.-based Mobile, Ala. production facility. Additionally, Frontier today converted its remaining 18 A319neo orders to the A320neo aircraft. The airline currently has 67 A320neo aircraft on order. This new order will allow Frontier to continue its focus on achieving the lowest costs in the U.S. airline industry and utilizing these savings to lower fares. Earlier this year, Frontier announced a network expansion that makes the carrier’s low fares accessible to 90 percent of Americans. To celebrate today’s announcement, the carrier is offering $20* fares nationwide for all Discount Den travel club members. Bookings and travel club sign up is available at flyfrontier.com and on the carrier’s mobile application. Visit our media library for b-roll and file photos. Tickets must be purchased by 11:59 pm Eastern time on Nov. 15, 2017 for nonstop continental U.S travel Dec. 5, 2017 through Dec. 16, 2017, and/or Jan. 9, 2018 through Feb. 14, 2018. Travel is valid Tuesday through Thursday and Saturday. Fares are one way and do not require roundtrip purchase. This offers requires a valid, Discount Den membership. Discount Den fares are only available at FlyFrontier.com to. Fare(s) shown includes all transportation fees, surcharges and taxes, and are subject to change without notice. Seats are limited at these fares and certain flights and/or days of travel may be unavailable. 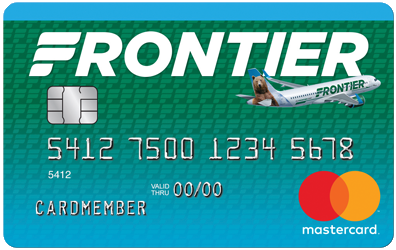 Further fare and route information is available at https://www.flyfrontier.com/ways-to-save/online-deals/.